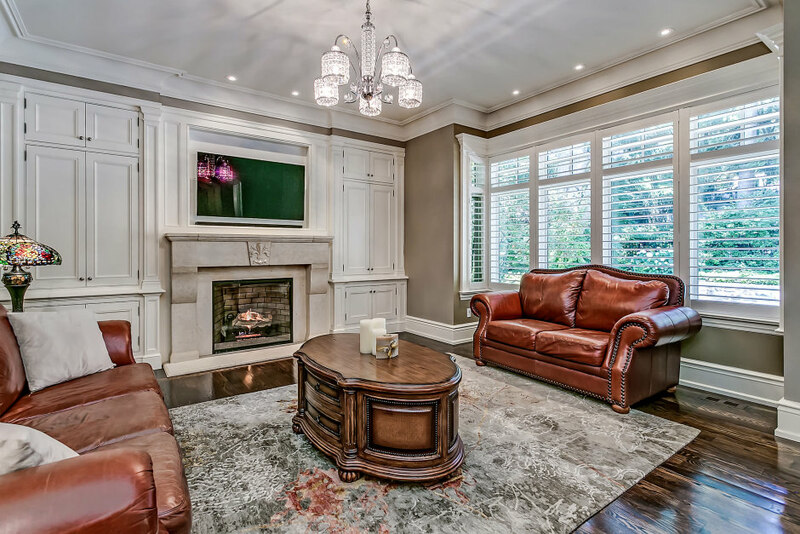 5.1 bedroom, 6.2 bathroom home in South East Oakville, built by renowned Hallmark Homes. This elegant home boasts a timeless exterior with stone and pre-finished copper accents. The formal foyer will leave a lasting impression, with a custom mahogany double French door with a wrought-iron inlay, limestone tile flooring, and a Fine Arts chandelier suspended from the two-storey ceiling. 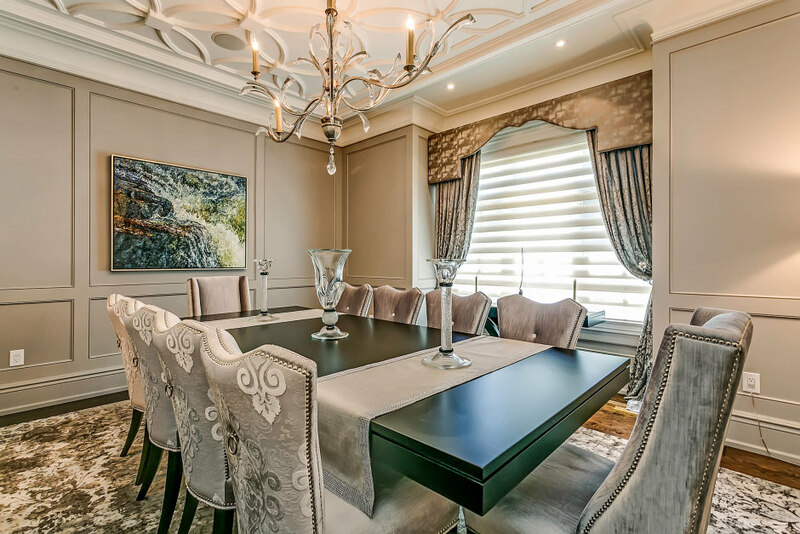 The lighting fixtures throughout the home are truly spectacular and include several new and vintage imported Swarovski chandeliers. 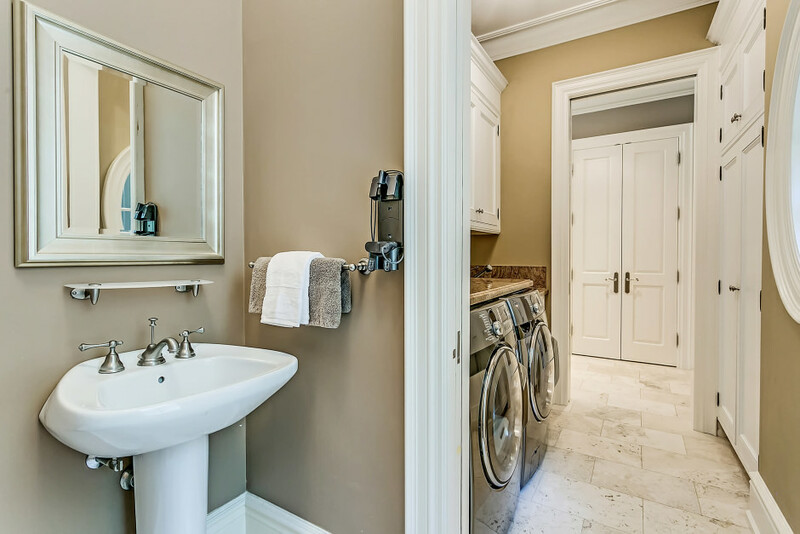 Impeccable attention to detail is shown in the exquisite millwork – from the 12” baseboards up to the cove mouldings. Oak hardwood flooring adds warmth, grounding the main level’s airy 10’ ceilings. Double French doors open to the gourmet kitchen, with custom full-height cabinetry in a matte finish and under-cabinet lighting accentuating the granite countertops. Chef-grade appliances include a commercial-grade Wolf double oven and side by side full-size Sub Zero refrigerator and freezer. A walnut furniture-style island centres the room, while a servery provides convenient access to the formal dining room with built-in ceiling speakers. 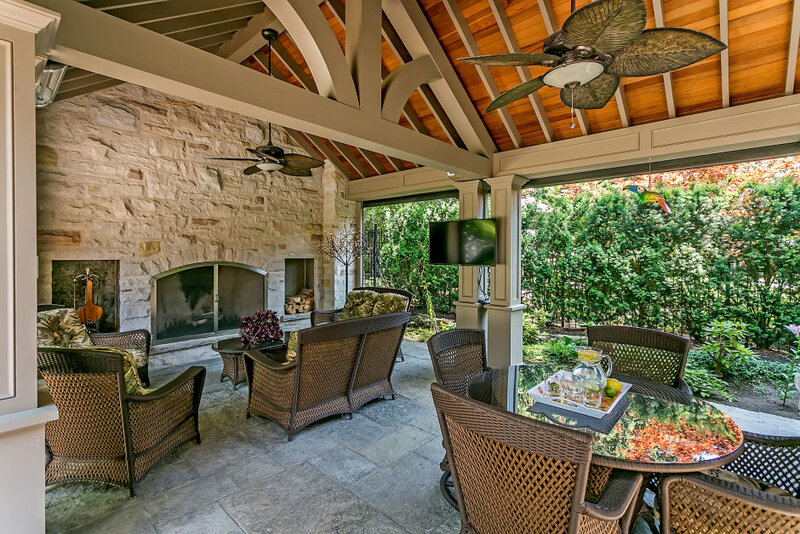 The home’s entertaining potential continues to the outdoors, with a covered outdoor living room overlooking your in-ground saltwater pool with stone wall linear waterfall feature. Enjoy three-season entertaining with commercial-grade electric heaters, cozying up to watch a movie al-fresco beside the wood-burning fireplace! The second level landing is a showpiece in itself, with vaulted ceiling with solar-powered skylights and a charming Juliette balcony overlooking the foyer below. Each of the five bedrooms boast their own dedicated ensuite, including a lovely guest/nanny suite. The master bedroom features a thermostat-controlled gas fireplace, dressing room, and six-piece ensuite! 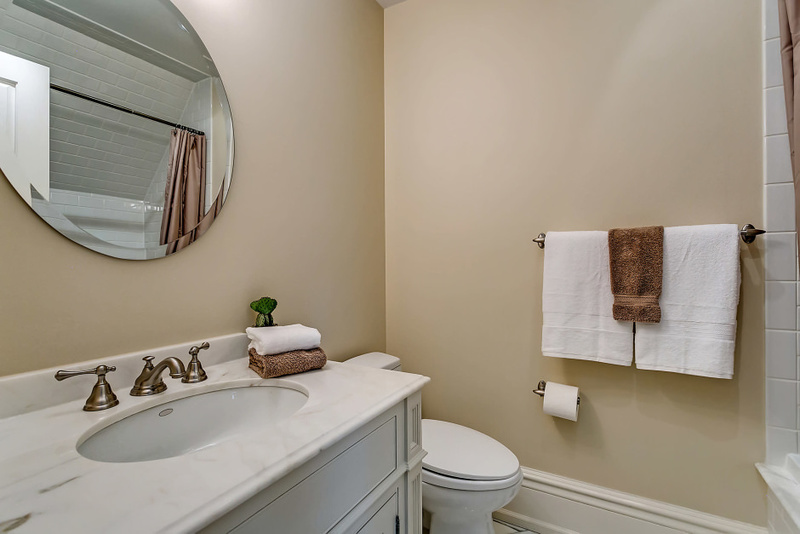 The tranquil, spa-like space offers heated marble tile flooring, an oversized steam shower, and a jacuzzi soaker tub. The fully finished lower level provides ample additional living space, including an expansive recreation room with projection screen and built-in surround sound speakers. 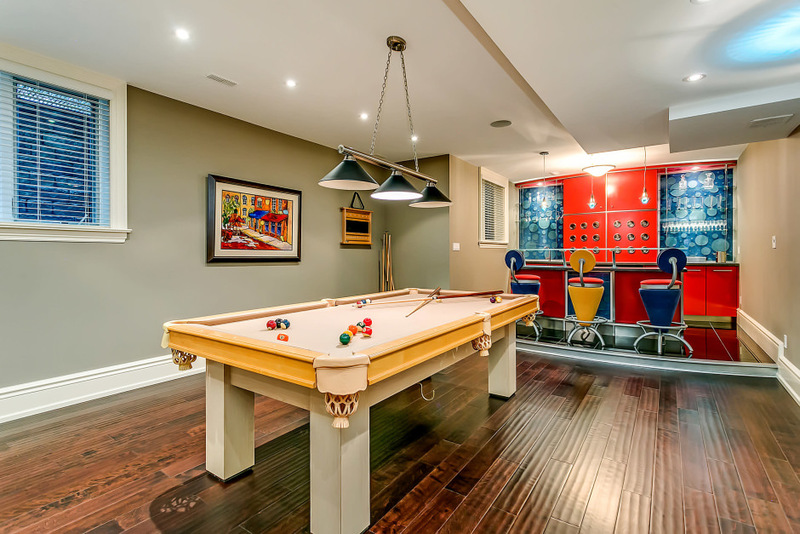 Located in what is arguably South East Oakville’s most desired pocket, this is a truly outstanding home.